There are plenty of new whiskies to look for this week—although not all will be accessible to the average drinker. After announcing it last fall, Jack Daniel’s has released Reunion Barrel, part of its Tennessee Tasters selection. The red wine barrel-finished whiskey is $40 for a 375-ml. bottle and for sale mainly at the distillery. 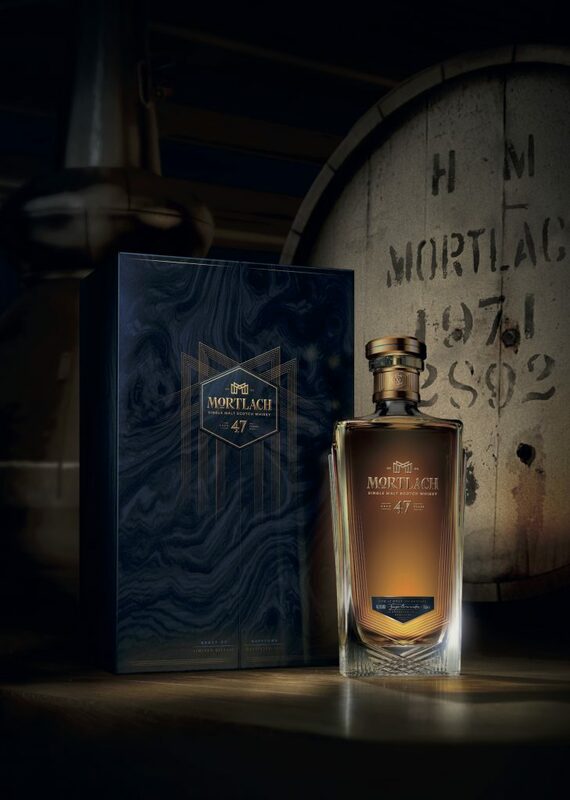 Mortlach is the latest scotch brand to unveil a super-aged edition, this one 47 years old and available only online via ballot. The cost is £10,000, and if you want a chance to snag one of the 94 bottles, you can register on the Justerini & Brooks website. 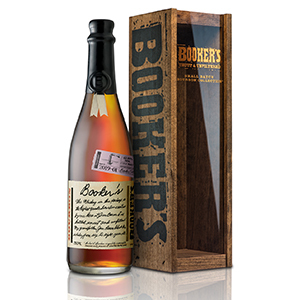 The first Booker’s bourbon release of 2019 is upon us: Booker’s 2019-01 “Teresa’s Batch” is hitting shelves now. As always, it’s at barrel proof, uncut and unfiltered, and will go for a recommended price of $80. 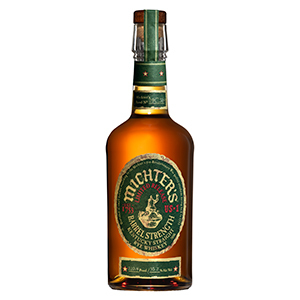 Another barrel-proof whiskey is rolling out as well: Michter’s US*1 Barrel Strength rye. Available in limited amounts, the whiskey has a suggested price of $75. Blood Oath Pact No. 5 will arrive in April. Made with 8, 11, and 13 year old bourbons, the whiskey costs $100, with 45,000 bottles available. Two new Irish whiskeys are hitting shelves. 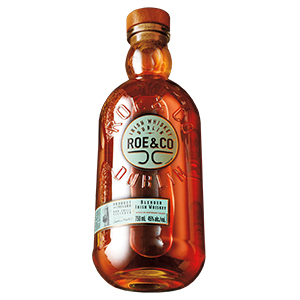 Roe & Co. is a malt-grain blend with a suggested retail price of about $34. It’s initially rolling out in a few states, with expansion planned. 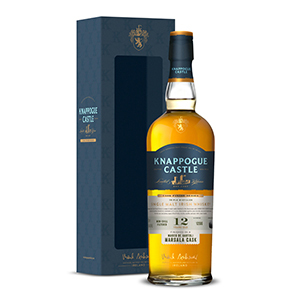 Meanwhile, Knappogue Castle’s newest single malt is a limited-edition 12 year old finished in marsala wine casks. It’s priced at $80, with just over 6,100 bottles available. 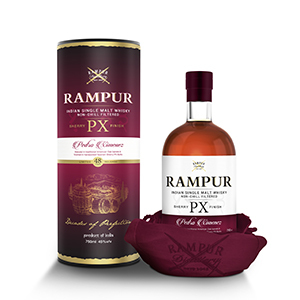 Finally, two new single malts from India’s Rampur brand are coming later this spring. 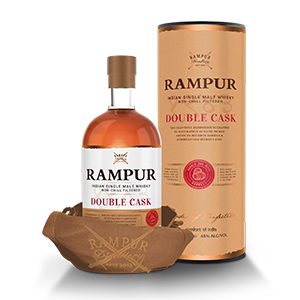 Rampur Double Cask ($90) will be widely available. It’s matured in both American oak bourbon casks and European oak sherry casks. Meanwhile, Rampur PX Sherry Finish ($100) is a limited edition, matured in bourbon casks and finished in Pedro Ximénez sherry butts. 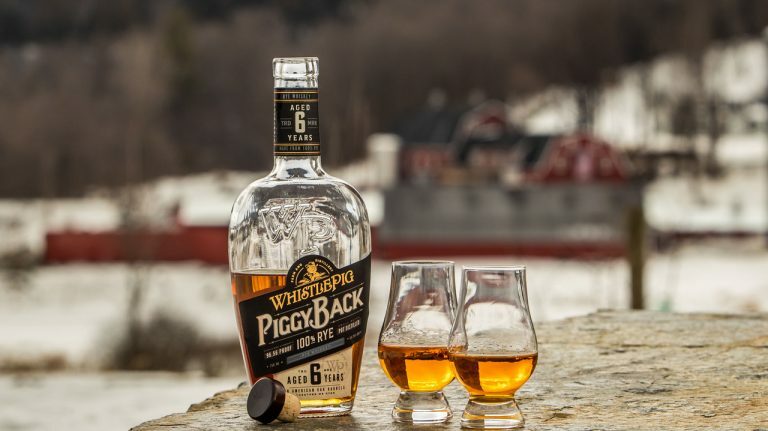 This whiskey is finished in wine barrels, but the barrels themselves have made a full circle. 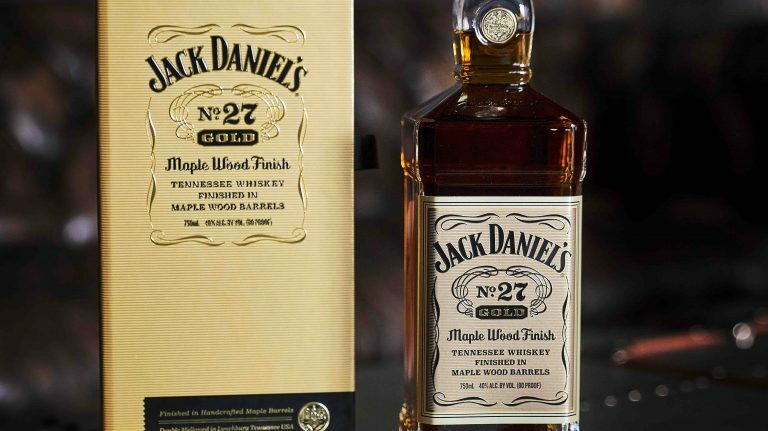 First, they were used to age Jack Daniel’s whiskey, and then to age Tennessee-made red wine, before being returned to Jack Daniel’s for use as finishing barrels. 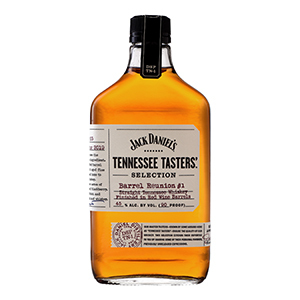 The whiskey was selected by master distiller Jeff Arnett as part of Jack Daniel’s Tennessee Tasters Selection. 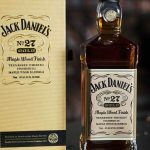 Jack Daniel’s has made some impressive forays into new whiskey innovations in recent years, including its rye, the Bottled in Bond version of its core whiskey, and Heritage Barrel, which was number 3 in the 2018 Top 20. 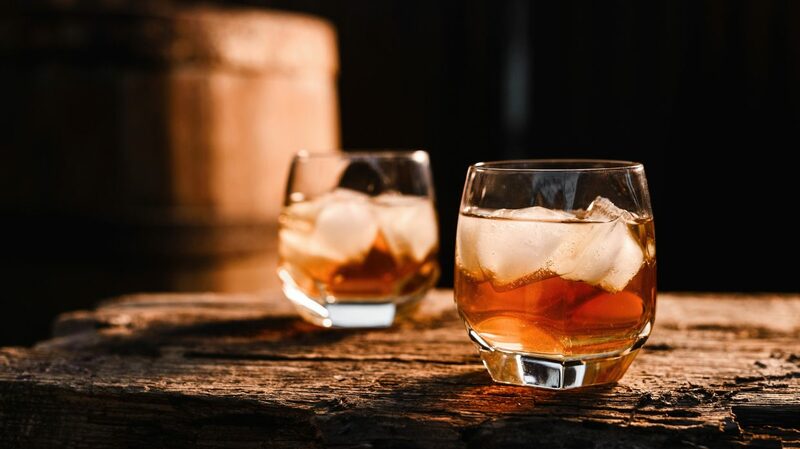 The Tennessee Tasters Collection is for sale mainly at the distillery, but if a whiskey sells particularly well or has a great reception, the company might roll it out more widely. 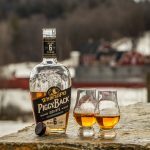 Look for reviews of the first two releases, High Angels’ Share and Hickory Smoked, in the Spring 2019 issue. Mortlach is launching a three-bottling series called The Singing Stills; each release comes from a single cask of whisky that was distilled in April 1971 and filled into refill American oak hogsheads. This first bottling is 47 years old and will be available for purchase through an online registration at Justerinis.com. Registration opens on April 9 and closes April 23. One bottle will be available at a charity auction at Bonham’s, Singapore on March 25. In addition, 47 lucky people in London and Singapore will get to taste the whisky before it goes up for purchase; register at exceptionalwhisky.com for a chance to be selected. There’s no shortage of well-aged single malt scotch, it seems. In the last few weeks alone, we’ve gotten word of Glenlivet 50 year old ($25,000), Port Ellen 39 year old (£4,500), and Littlemill 40 year old ($10,000). 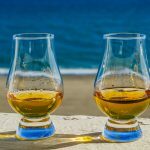 Of course, there’s not much of this liquid floating around, but then again, these bottlings aren’t cheap either—designed for the collector and the high-rolling whisky drinker. At least in this case, Mortlach is offering regular folks the chance to get a taste ahead of the sale—much like Craigellachie is giving away its 51 year old to some lucky drinkers. The first Booker’s release of 2019 has arrived. 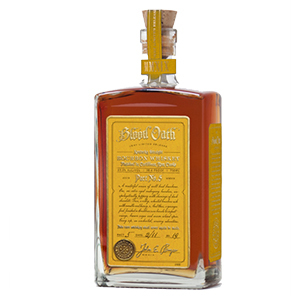 Teresa’s Batch is named for longtime Jim Beam employee Teresa Wittemer, whom Booker himself hired over 30 years ago. Wittmer has worked in the lab and in quality control, and continues to select barrel samples for master distiller Fred Noe to use in batches of Booker’s. As always, the bourbon is bottled at barrel proof with no filtration. This is the second Booker’s batch to be named after a woman; the first, Kathleen’s Batch, was released in early 2018 and scored 92 points. Michter’s is rolling out a new batch of Barrel Strength US*1 rye. Each whiskey is bottled as a single barrel, so the ABV varies. As with most of Michter’s limited-edition bottlings, expect this whiskey to sell out fairly quickly. The barrel-strength rye was last released in 2016; it scored 87 points. The fifth release from Blood Oath combines three bourbons: an 8 year old that uses rye as the flavoring grain, finished in Caribbean rum casks; an 11 year old wheated bourbon; and a 13 year old made with rye as the flavoring grain. Blood Oath’s past “pacts” (its name for each batch) have encompassed a range of scores, with the most recent Pact No. 4 scoring 89 points. Each batch is intentionally different; this one, with some rum-finished bourbon in the mix, should be quite distinct from the others, which have included port and cabernet sauvignon finishes. The blend of malt and grain whiskeys comes from Roe & Co., which is about to open its distillery in Dublin at St. James’ Gate. The whiskeys were sourced from throughout Ireland and aged in ex-bourbon casks. Diageo master blender Caroline Martin has been working with scotch whisky and other spirits for over three decades, but she says she had to train her palate on the nuances and characteristics of Irish whiskey in order to create Roe & Co. The blend is designed to be smooth, but with fruity depth, ideal for cocktails in addition to sipping neat. Following up on Knappogue Castle’s 12 year old finished in Château Pichon Baron casks, this single malt was aged first in ex-bourbon casks and then finished in marsala wine casks from Marco de Bartoli. Few whiskies are finished in marsala casks; the most recently reviewed example from our Buying Guide is Ledaig 19 year old, which scored 89 points. Two other Irish whiskeys, though, have used marsala cask maturation in recent years: The Irishman, with a limited-edition expression of its Founder’s Reserve, and Red Spot, the newest single pot still whiskey from Midleton Distillery, which is reviewed in our Spring 2019 issue. Distilled in the foothills of the Himalayas, this single malt whisky is matured in both American oak ex-bourbon and European oak ex-sherry casks. Initially matured in ex-bourbon casks, this single malt is then finished in Pedro Ximénez sherry butts. 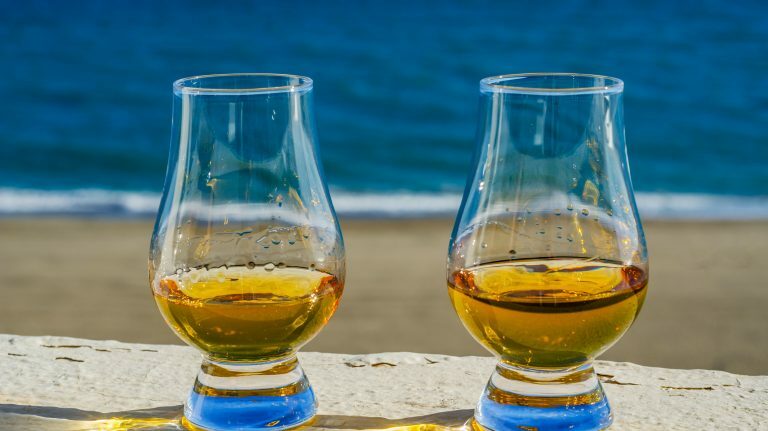 If you’re not drinking whisky from India, you’re missing out some of the most delicious and exciting single malts in the world. Rampur Select was the number-5 whisky in our 2017 Top 20, and we can’t wait to try these new variants—both of which are being poured at WhiskyFest Chicago on March 29.